Wells Fargo Company Information Is this your company? Add your own content to this page. We currently have 1,152 open jobs at Wells Fargo. 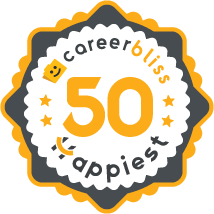 We've calculated that the average salary at Wells Fargo is $48K based on 14,499 user-submitted salaries A total of 1,453 Wells Fargo employees gave Wells Fargo an average happiness rating of 3.9 out of 5.0. 1050 Personal Bankers from Wells Fargo submitted salaries. 2.8 The managers really need to lighten up and allow employees to just do their jobs instead of micro-managing every little thing they do. Wells really needs to adopt the term flexibility and realize their employees will be far more dedicated to them when working out of comfort as opposed to fear. Also, they really need to consider cutting back on the levels of management--it just muddies the waters. 2.4 Take an active interest in and participate in the day-to-day work of my employees. Give feedback, advice and direction without micromanaging. Take an active role in solving the big problems facing employees in their work, workplace, etc. Talk to your employees, and get to know them as a real person, not just a sales person. Show respect and don't make your employees feel inferior to you, because when you show respect to those beneath you, you will have rewarding results and happy employees. Happy employees = they want to succeed and do their best. Wells Fargo is the winner of several diversity awards, including the top 25 Best Places to Work for African American Women by Essence Magazine and ranked number 2 among the Best Companies for Diversity by the Hispanic Business Magazine. BusinessWeek also named Wells Fargo America’s #2 Most Generous Corporate Foundations in 2010. Wells Fargo is commonly grouped among the biggest four banks in America, alongside Bank of America, Citigroup, and JP Morgan Chase.